Apple's Mac Pro has been ignored for so long that even Windows 10Â mobile workstations are catching up on features and performance. 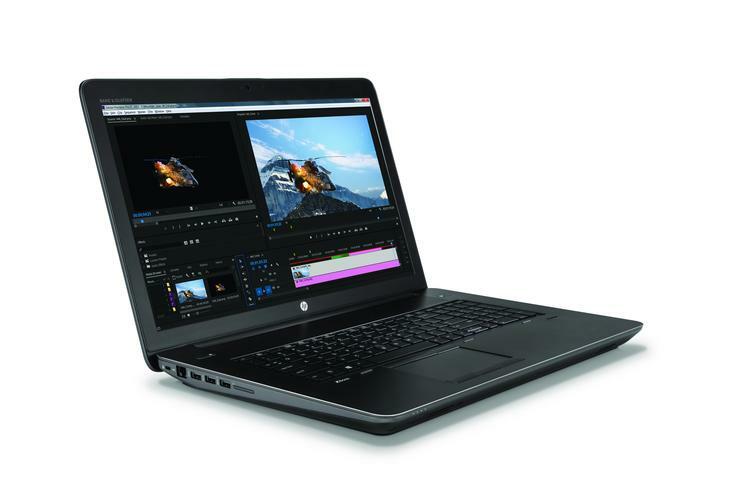 Take HP's latest Zbook laptop workstations , which were announced on Friday. These heavy built laptops -- which is why they are called mobile workstations -- have comparable memory and storage capacity technology to the Mac Pro, but excel in other areas. The laptops feature Thunderbolt 3 ports, DDR4 memory, Intel's latest Kaby Lake-based Core and Xeon processors, and the latest GPUs from Nvidia and AMD. By comparison the Mac Pro has Thunderbolt 2 ports, an old AMD GPU, DDR3 memory and Intel Xeon processors based on the Ivy Bridge architecture, which were released in 2013. Add that all up, and you can rely on the Zbook for work like content creation, VR and video editing that you would otherwise do on a Mac Pro. Windows desktop workstations, like HP's Z and Dell's Precision desktops, are already far superior in technology than the Mac Pro. And the Zbook laptops -- which come in screen sizes of 14-, 15.6- and 17.3-inch screens, are up to half the price of a Mac Pro. Apple has said it will upgrade the Mac Pro in 2018 or 2019, but the current version, which was released in 2013 and recently got a minor upgrade, is so behind that many have moved over to Linux or Windows PCs. The ZBook 17 is the most powerful of HP's new workstations. It supports up to 4TB of hard drive or SSD storage, 64GB of memory, and can be configured with Intel's Xeon E3 v6 or Core i5/i7 chips. It has two Thunderbolt 3 ports, which can support two 4K displays. It can support GPUs including Nvidia's latest Quadro P5000, which can handle VR content creation. The laptop can be configured with a 4K screen, and it also HDMI and USB 3.0 ports. It will be priced starting at US$1,519. The Zbook 15 has many features that are similar to the Zbook 17, but is a step down in some features. It supports up to 3TB of storage, and supports Nvidia's Quadro M2200 GPU, not the P5000. This laptop can be configured with a 4K screen, and is priced starting at $1,419. The Zbook Studio, which starts at $1,399, is like the Zbook 15, but much thinner and lighter at around 2 kilograms. It also has fewer features like half the memory and lesser storage capacity. Given its size, it supports only Nvidia's Quadro M1200M GPU. It also has a DisplayPort 1.2 port. These laptops are available worldwide. Other features include support for AMD's FirePro GPUs, and 802.11ac Wi-Fi. HP also announced the ZBook 14u with a 14-inch screen, which is only available with Intel Core i5/i7 processors. The laptop's price wasn't announced at the time of press.